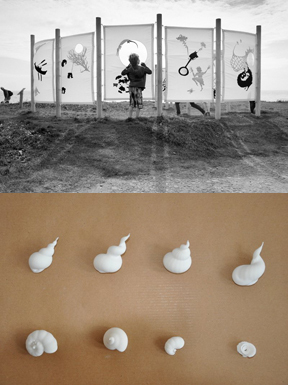 Proboscis is the creative practice of artists Alice Angus and Giles Lane and our associates. We are based in London and work across the UK and internationally. We create artistic projects of our own as well as collaborating with others to bring our expertise in social engagement, creative research, innovation and problem solving into other areas and contexts – what we call co-discovery for uncommon insight. Our projects and activities often help people create, communicate and share things they value in ways that transcend boundaries. Collaboration and co-discovery are at the heart of our creative practice and ethos: involving innovative partnerships in fields as diverse as medical research, visual art, literature, film, music, community development, urban regeneration, environment and ecology, pervasive and mobile computing, anthropology and ethnography, mapping and sensor technologies. 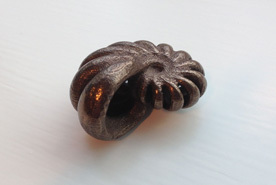 Bookleteer is our groundbreaking self-publishing platform for creating hybrid books and StoryCubes in both digital and physical versions. 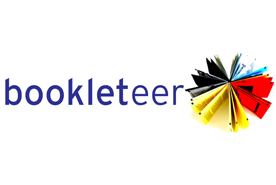 Developed by artists, bookleteer is unlike other e-publishing systems – evolving in response to our needs and uses rather than being designed to fit a commercial niche. Simple and free to use, it supports multiple languages, alphabets and right-to-left language orientation. Its unique shareable formats can move from digital to physical and back again – enabling iterative sharing, wherever you are. Proboscis has taken our experimentation with drawing into fabric creation and design – combining cutting-edge digital printing technologies and laser cutting fabric designs together with traditional craft-based skills such as spinning, weaving and embroidery. 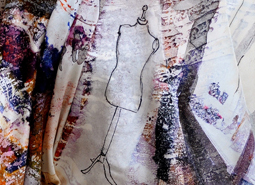 From designing richly detailed images that flow over a whole garment (with fashion designer Mrs Jones) to laser cutting drawings that are then hand stitched to sail cloths, to printing unique banners made from collaborative visual workshops.